Reviewed offers by Cornerstone Wines, Crystal Wines, Epsilon Wines, Equatorial Wines, eWineasia, Le Vigne, The Cellar Door, The Local Nose, Underground Wines, Wine Connection, Wine Directions, Wine Exchange Asia, Wine Guru. All whites today, reds to follow…. 2009 / Bilancia / Hawkes Bay / Pinot Gris – S$34.90 at The Local Nose & The Cellar Door. Bob Campbell said he particularly liked this wine and gave it “above average” score of 86 points. Its RRP is NZ$25 so a fair value on the BBI could have had it come in as high as S$44. At S$34.90 it’s terrific value. 2009 / Heart of Stone / Marlborough / Sauvignon Blanc – S$25 at Underground Wines. Just when you thought you’d tried all the Kiwi sauvignon blancs, up comes another one. Cloudy Bay won’t be too worried by this one. Michael Cooper gives it 3.5 stars (“very good”) but it’s the price that grabbed his attention saying that it is “fine value. I’m not going to argue with that. With a RRP of NZ$17, the price here is really quite outstanding at this end of the market. 2010 / Mt Difficulty / Target Gully / Central Otago / Riesling – S$41.50 at eWineAsia. Bob Campbell sort of damned this with faint praise. He gave it 87 points which equates to “above average” but added “whilst very good, doesn’t live up to my memory of past classics”. Retails for NZ$25 so the price here is fair to good. 2008 / Neudorf / Nelson / Chardonnay – S$42 at The Local Nose & Wine Guru. I’m a big fan of Neudorf and the Nelson area, often overlooked in the flood of stuff (not all good) that comes out of Marlborough. Michael Cooper agrees giving this wine an “excellent” rating (4.5) and Bob Campbell gives it 89. It retails for NZ$30 so it’s great value here. Give it a try for a change! 2007 / Villa Maria / Cellar Selection / Marlborough / Chardonnay – S$39.90 at The Cellar Door. Bob Campbell gave it 87 points and called it “stylish”. It retails around the NZ$24 mark so the price here is good, rather than great. 2010 / Woodlands / Margaret River / Chardonnay – S$42, S$37 by the half case at Wine Exchange Asia. We had to get an Aussie in the line up sooner or later. Wine Front says “very happy with it” and suggests drinking to 2013. With a RRP of A$23, the single bottle price is spot on the BBI, and the half case price is a great deal. “The results of a blind tasting cannot be predicted and will not even be reproduced the next day by the same panel tasting the same wines.” – Stephen Spurrier after Bottle Shock apparently. A big plug for a book that I just read on the plane and train between Singapore and Durban. It’s a quick read for sure but thoroughly entertaining. 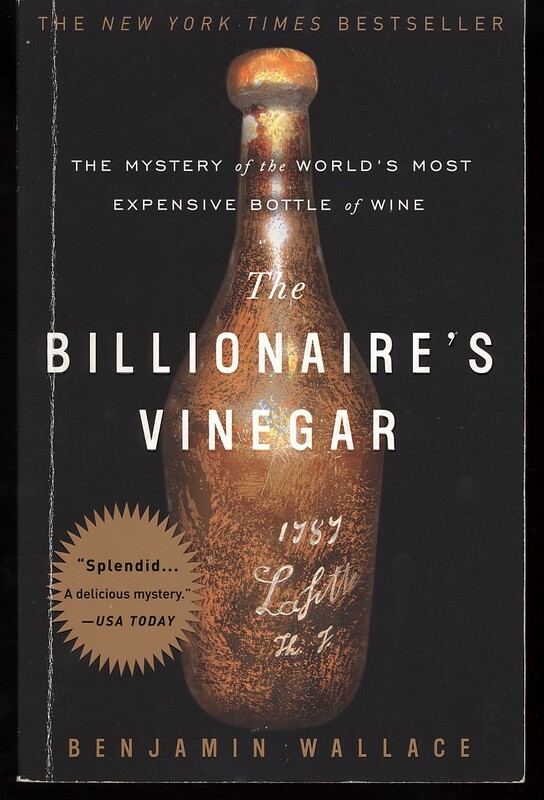 It’s “The Billionaire’s Vinegar” by Benjamin Wallace (thank you Lisa & Jos for the gift) and the story is of fakes in the wine industry, especially rare old Bordeaux. I’m coincidentally thumbing my way through old Wine Spectator magazines from the last decade and the whole story of “suspect” 1787 Chateau Lafite Thomas Jefferson is covered month after month as the various parties, from buyers to auction houses, counter accusation with accusation. One of the themes is that the US was ripe for counterfeits because they didn’t know much about old wine, they just bought them for status. Where does that leave today’s China buyer? Another novel in the offing, I suspect. 2010 / Mitolo / Jester / McLaren Vale / Vermentino – S$28.20 at Crystal Wines. I could only find one rating on this and it was Epicure at 4 stars. The RRP is shown as A$24 so the price in Singapore at S$28.20 looks an absolute bargain on a comparative basis. But there’s a catch. Epicure reckons this wine should have been drunk in 2010, so no surprise that’s it being marketed at an attractive price. Given that it’s only just out of the first quarter in 2011, it’s probably still worth a punt. 2009 / Bass Phillip / Crown Prince / Gippsland / Pinot Noir – S$89.25 at Crystal Wines. I don’t have a rating on this vintage so can’t offer any help there. What I do know is that this wine is currently on sale at Wine House in Australia at A$57 so the price here looks a sizeable premium. I’m guessing not all that much comes to Singapore, so if you want it, you’ll probably buy it at that price anyway. 2008 / Mt Difficulty / Long Gully / Central Otago / Pinot Noir – S$110 at eWineAsia. One thing about Bob Campbell – when he likes something, he says so. He gives this wine 95 points (“excellent, top quality”) and says that “this is a great pinot noir”. Its RRP of NZ$90 puts it right at the top bracket for Kiwi pinots and its price here of S$110 is right where the BBI would expect it to be. I think I’ll be tempted to try it. 2008 / Nazaaray / Mornington Peninsula / Pinot Noir – S$50.25, S$43.93 by the case, at Rubicon Reserve Wines. I’ve never come across this name before but in any event, Wine Front gives it 90 points (“very happy with it”) and suggest drinking out to 2014. With a RRP of A$30, the price is about right for the case buy. 2008 / Tarrawarra Estate / Reserve / Yarra Valley / Pinot Noir – S$62 at The Local Nose and Wine Directions. All round accolades for this one. James Halliday “outstanding”, Jeremy Oliver “top silver”, and The Big Red Wine Book “exceptional”. General consensus is to drink out to about 2018. With a RRP of A$50, the pricing here is good value. 2006 / Trentham Estate / Mornington Peninsula / Pinot Noir – S$35 at The Local Nose and Wine Directions. I recommended this wine back in May last year and you should have bought it then when it was offered at S$30. It’s now S$35 as the Aussie’s gone up but it’s still a terrific buy. Halliday 92, drink to 2013. 2008 / Kilikanoon / Killerman’s Run / Clare Valley / Shiraz – S$31.45 at Crystal Wines. Another wine/vintage that I don’t have a rating for. So what can I tell you? Well, it’s on sale at Dan Murphys in Australia at A$16.99 which would equate to a BBI of about S$36. That makes the price here great value, and if you know the wine, then the deal is good. 2003 / Shirvington / McLaren Vale / Shiraz – S$143 at Wine Culture. Have you ever seen a bottle of this? No, me either. All you need to know is that Robert Parker rated it 96 points. Now, it just happens to be on sale at Wine House downunder for A$95 but in limited quantities, and you’re sure as hell unlikely to get the WET back. I think this is another case of “if you know it and like it, you’ll buy it” because you won’t be seeing much of it around. 2004 / Torbreck / Run Rig / Barossa Valley / Shiraz – S$199 at Wine Exchange Asia. We’re in the big hitters today aren’t we? Wow. OK, the lowest rating I could find on this was Jeremy Oliver at 88 points, drink 2012. The highest rating I could find was Wine Advocate at 99+! Everyone else is in the 95+ bracket and a bit more generous in its ageing potential. Let’s call it 2018 to be fair. It WAS on sale in the US at US$225 a bottle. It’s NOW on sale at Wine House for A$240. I never thought I’d say it, but that makes S$199 smashing value. The star deals for today are the Trentham Pinot Noir, and wait for it, the Torbreck Run Rig. So, how much has the Aussie dollar changed the pricing in Singapore over the last 12 months? Perhaps not as much as you’d expect. In an A$50 bottle of wine, the BBI reckons the exchange rate has added about S$2 here. I know, I know, you’d love to open that Henschke Hill of Grace now under screwcap, but what would your guests think? Oh, the ignominy, oh the embarrassment. 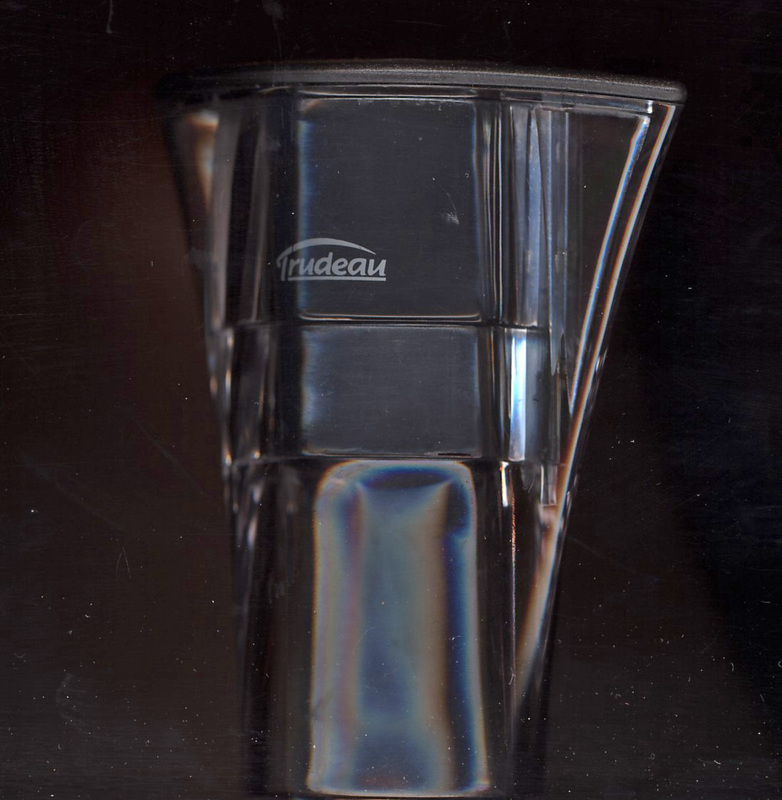 Never fear, the Trudeau screwcap remover is here! One of the benefits of a 60th birthday is all the fun wine gifts you get, ranging from a stopper that uses, how shall we say, a certain part of a man’s anatomy to seal the bottle, through to the wonderfully silly screwcap remover. 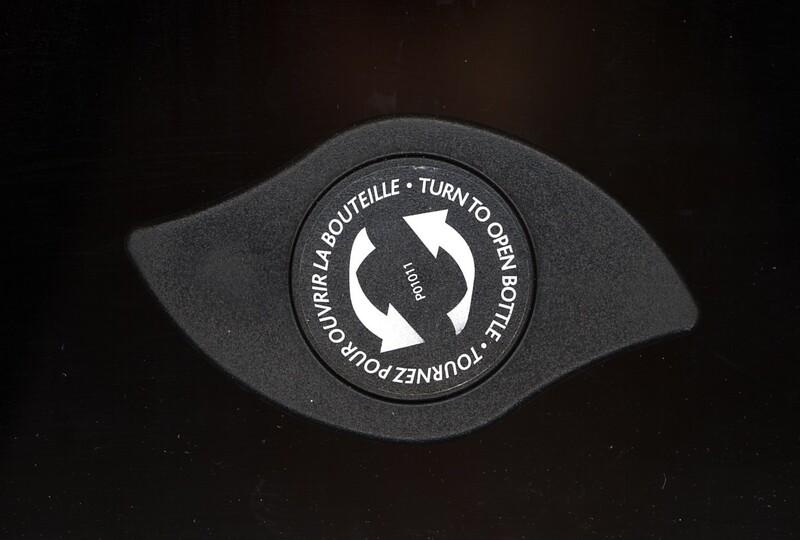 It even comes with instructions that tell you to “turn to open the bottle”. How did we ever cope with an instruction-less corkscrew? The idea it seems, is to hide the fact that you are removing a screwcap by allowing you to display some purpose to the action, muffling the metallic snap as the seal breaks, and then by a devious mechanism that holds the screwcap out of sight in the tool, allowing you to discreetly pop the used screwcap into the nearest bin. Your guests will be none the wiser…..apparently. You can see why I had to have one. Thank you Peter & Sandra. It’s been a big hit already. In the same way that car magazines often get criticized for writing about Lamborghinis and Ferraris instead of bread & butter models like BMW, wine magazines get criticized for writing about wines that few can afford, instead of writing about wines like Yellow Tail or Wolf Blass Yellow Label. Well, time to get your pens ready. The wines reviewed here today are definitely not your everyday drinking models. 1997 / Best’s / Thomson Family / Great Western / Shiraz – S$188 or S$178.60 Member Price at Crystal Wines – I’m a great fan of Best’s but I would be wouldn’t I? Highly rated by those who matter, for example Jeremy Oliver gives it a “regular gold medal” 94 point rating, and Wine Front gives it “exceptional” at 97 points. A bit of difference on the cellaring with Oliver giving it 2009+ and Wine Front saying “out to 2027”. So, is it good value? Given the vintage, it’s fair to say that the BBI shouldn’t include an allowance for getting the WET back. On that basis, a direct comparison with recent sales of the wine in Australia shows it in the market at about A$120. If you bought a bottle yourself retail, you’d land it after duty and VAT at around S$165, so S$178 isn’t that far away. At this level of buying though, and with the scarcity of older vintages, it’s probably a bit academic. If you like it, you’ll probably buy it. So, the next question is – is this the best deal for it in Singapore? That I can’t answer, but if you do see it or similar vintages around for less, let me know so we can tell the world. 2006 / Jim Barry / The Armagh / Clare Valley / Shiraz – S$290 at Epsilon Wines – I have fond memories of an Armagh consumed at a restaurant in Arrowtown in Central Otago (Gantreys from memory) in 1993 for about $50. Those were the days. It’s a serious acquisition now. James Halliday gives it “outstanding” and Oliver gives it a “top silver medal”. It’s Jeremy Oliver again who suggests a shorter cellaring (2014+) against Halliday’s 2030, not something that Jeremy is know for. You’ll have to be the judge on the price. I reckon you can still get this retail and get the WET back in which case it should be closer to S$215 than S$290 but you might waste a lot of time tracking it down. Another case of, if you like it, you’ll probably buy it. 2008 / Man O’War / Ironclad / Waiheke Island / Red Blend – S$66 at Rubicon Reserve Wines – This looks to be a pretty stunning wine, with Gourmet Traveller Wine giving it “outstanding” (95) and Bob Campbell giving it “excellent, top quality” (93). If you’re tired of those big Barossa reds (not me! ), then give it a go. RRP is NZ$46 so the price of S$66 is about where the BBI would expect it to be. I promise that the next blog will be more Morris Minor than Porsche. A bouquet of sandalwood, tobacco, vanilla……..or Avon? Reviewed wines on offer by Crystal Wines, Epsilon Wines, Eve Spirits, Hermitage Wines, Singapore Straits Wine Company, The Cellar Door, Wine Connection, Wine Culture, Wine Exchange Asia, & Wine Universe. There’s smells, and there’s smells. The one’s I want to talk about today are the one’s that linger, the one’s that stick to you long after the event. Cigar smoke from that crowded bar still in your clothes next morning. The pungent aroma of wet seals after a visit to Cape Palliser where you just had to move close enough for that photo. The lingering aroma of drying prawns after a visit to Kukup, the reminder coming for the next two days every time you open your car door. Why, oh why, do some people wear the strongest possible perfume to wine tastings? You’re in the middle of nosing a wonderful wine in a proper glass (in my case, it was a 1999 Ata Rangi Pinot Noir) when, bang! your olfactory senses are assaulted, interrupted, confused and destroyed for the rest of the evening by an overwhelming bouquet of fake roses and frangipani. I’ve had this happen more than once at properly defined wine tastings. Makes you wonder what the wearer is there for. And yes, it stuck with us in the taxi like Kukup prawns. 2008 / Fonty’s Pool / Single Vineyard / Pemberton / Chardonnay / S$33 at Wine Connection – Just goes to show, you can’t always judge a book by its cover. I’ve wandered in to Wine Connection from time to time and not been tempted, but this offer looks great value indeed. The pricing is very attractive (RRP A$22 vs S$33) but it’s the rating that stands out at this price level. James Halliday 96 points which puts it in the “outstanding” category. I’ve ordered some to try. 2008 / Sticks / Yarra Valley / Sauvignon Blanc / S$39 at Wine Culture – This wine has the same rating as the Sidewood (see below) but with another year of age, even more reason to drink now. Not next month, but now. With an RRP of A$19, the pricing is spot on, but today it’s been trounced by the Sidewood which starts at a similar RRP but ends up S$15 a bottle cheaper. 2009 / Sidewood Estate / Adelaide Hills / Sauvignon Blanc / S$48 for 2 at Singapore Straits Wine Company – You’d want to drink this one straight away, no point in sitting on it at all. Halliday says “highly recommended” (90), and Wine Front says “very happy with it” (88). You should be very happy with the price too as it retails for around A$18. Outstanding comparative value. It’s their January “2 for 1” deal so you might have to twist their arm to still get it at this price. 2005 / Bannockburn / Serre / Geelong / Pinot Noir / S$125.19 at Hermitage Wine – Bit hard to put a BBI value on this one as it’s been around a while but recent pricing in Australia (around A$110) suggests the price here is OK. Both James Halliday and Gourmet Traveller Wine put it in the “outstanding category”. 2008 / Nepenthe / Tryst / Various / Cabernet Blend / S$29.90 at Eve Spirits – Halliday “recommended, above average” (88), drinking to 2013, and with a RRP of A$15, pricing is great value. 2008 / Kaesler / Stonehorse / Barossa Valley / Shiraz / S$88 for 2 at Singapore Straits Wine Company – This was in their January “2 for 1” offer so check to see if it’s still around. Halliday “recommended” (89) and Wine Front “very happy with it” (90). RRP is A$15 to A$20ish, so deal here is OK. 15% alc but. So, if you’re out shopping today, I’d look for the Sidewood Sauvignon Blanc at Singapore Straits Wine Company and the Fonty’s Pool Chardonnay at Wine Connection. Enjoy that bottle of wine last night did you? Well, you were in good company. According to annual wine production statistics, around 80 million bottles of wine are drunk EVERY DAY around the world. Glad to see you did your bit. By the way, the stats for Singapore are 23 million litres of wine a year (Winestate Jul/Aug 2010). That’s 63,000 litres a day. Someone’s doing a lot more than me! Oh, yeh, that’s probably half a million dollars a day in duty too. Reviewed offers by Crystal Wines, The Cellar Door, Hermitage Wine, eWineAsia, Wine Exchange Asia, Underground Wines and Wine Culture. I had a look at 8 wines in this review and 3 of them didn’t make the cut because the pricing was marginal at best. 2009 / Bilancia / Hawkes Bay / Pinot Gris / S$34.90 from The Cellar Door – Bob Campbell gave this 86 points, which in Bob Campbell speak means it’s OK. In fact he wrote that he really liked it. Interesting isn’t it? I’d interpret 86 points from Jeremy Oliver as meaning the wine is a complete dud, 86 from James Halliday as being just OK, 86 from Bob Campbell as being not too bad really, and 86 from Winestate as being “very good, silver medal”……but that’s a discussion for another day. You’ll just have to figure it out for yourself. RRP is NZ$25 so pricing here is terrific value. 2006 / Mt Rosa / Central Otago / Riesling / S$31.50 from Underground Wines – Winestate 4 stars (85-89 points) and Bob Campbell 86 again. Thankfully I don’t have a rating from Oliver or Halliday to confuse the issue. Anyway, RRP of NZ$22 so again, terrific pricing. 2008 / Mount Edward / Central Otago / Riesling / S$42, S$38 by the half case from Wine Exchange Asia – OK, now we’re getting down a bit. Bob Campbell 80 points, but the comparative value is good by the bottle, great by the half case. RRP NZ$25. 2007 / Te Mania / Nelson / Sauvignon Blanc / S$39 at Wine Culture – It wouldn’t be a Kiwi review without at least one sauvignon blanc, and this is it. I have a soft spot for this region. It lives in the shadow of Marlborough a bit like Padthaway does to Coonawarra, but I’d say keep it on your radar. Bob Campbell gives it 84 points and with a RRP of NZ$19, the pricing here is spot on the BBI. 2008 / Drumsara / Central Otago / Pinot Noir / S$48 at Wine Exchange Asia – Can’t say as I’ve ever had a Drumsara, and to be honest. I’d hardly heard of it. Bob Campbell has, and he gives it 84 points with particular mention of its favourable cellaring potential (although no specific recommendation). With a RRP of NZ$38, the price here is great value, so I’d say give it a try. The Mt Rosa is probably the pick of the bunch today, with the Bilancia close behind. Just catching up on my summer reading and I see in the Winestate Annual Edition 2011 that Ian Lim, Business Manager and Chief Sommelier at Singapore Straits Wine Company won the Asia-Oceania section of the ASI (Association de la Sommellerie Internationale). For many, many years, we were Sunday night regulars at a local restaurant (now closed) and Ian had our palates worked out so well that the wine would be chosen and ready before we arrived, and rarely a disappointment. Good on yer’ mate! A well deserved win. Have a look at the article below on PET vs Glass bottles. Who’s going to be the first to bring along a PET bottle to a tasting? “75 per cent of New Zealand’s wine export growth [over the last two years] has been in bulk wine. We have handed control or are in the process of handing control over to the buyers of that bulk wine and, in Australia and the UK, those buyers are largely supermarkets. We are in the process of turning supermarkets from our very important customers into our competitors” – Philip Gregan, CEO of New Zealand Winegrowers quoted in Winestate Jul/Aug 2010. You’ll have to pick & choose amongst this lot. A trio of Heathcote wines though. There must have been something in the Xmas pud. There’s no other way I can explain the irrational pricing that has emerged. There’s some good deals here today, but there’s some pretty ordinary ones as well, and a couple that are well, best forgotten. I had a look at the NV Overstone Brut Sparkling from Wine Connection but couldn’t find a rating anywhere, so we’ll leave that for another time. 2010 / Summerhouse / Marlborough / Sauvignon Blanc / S$30.50 from Underground Wines – Only 3.5 stars for this wine (Bob Campbell 84 points) but the price is right as it retails for NZ$22. Good value if you don’t care about ratings. 2007 / Pegasus Bay / Waipara / Sauvignon Blanc Semillon / S$39.90 from The Cellar Door – Is that a misprint? Surely it should be just Sauvignon Blanc? Well, no. According to Bob Campbell, Pegasus Bay makes New Zealand’s only Sauvignon Blanc Semillon. He likes it enough to give it 93 points (4.5 stars). It retails at about NZ$28 so the price here is exactly where BBI would expect it to be. Spot on value, for something a little different. 2007 / Cloudy Bay / Marlborough / Chardonnay / S$55.25, S$52 by the case from Crystal Wines – This is on special at Crystal, down from their Usual Price of S$65, which is odd given it’s listed on their normal retail price list at S$63. Let’s not quibble over a couple of bucks in the advertising blurb and focus on the wine. Michael Cooper gives it 4.5 stars and suggests drinking out to 2014. Bob Campbell loves it, and gives it 95 points (5 stars). Reckons it one of the best wines to come out of Cloudy Bay. It retails for about NZ$40 so the single bottle price of S$55.25 is fine, but the case price of S$52.00 really is good value. 2008 / Pencarrow / Martinborough / Chardonnay / S$29.90 from The Cellar Door – If you’re looking for a rating, you might also try looking under Palliser, as this wine is a junior label from there. A bit junior in the actual rating as well, with Bob Campbell only scrounging up 83 points for this wine. With a RRP of around NZ$17, the pricing here is a bit marginal from a BBI benchmark. 2007 / Torzi Matthews / Eden Valley / Riesling / S$33 from Epsilon Wines – A solid 4.5 star wine. Epicure 4.5, Jeremy Oliver 90 points, James Halliday 94 points. Opinions vary but should keep out to 2015 at least, possibly 2020. RRP is around A$25 so pricing here is keen, great value in fact. You might see it a bit cheaper elsewhere from time to time but here, today, this is a great deal. 2005 / Dominique Portet / Heathcote / Shiraz / S$56.50 at eWineAsia – Dominique Portet has the cellar door in the Yarra Valley but they also offer a couple of Heathcote wines. The 2005 Shiraz is rated 94 by Halliday, with recommended drinking out to 2020. RRP of A$45 so price here is good value. 2005 / Fox Creek / Reserve / McLaren Vale / Shiraz / S$107 (UP S$120) at Profiters International – Wow! If you go to my blog of December 21st, you’ll see that Wine Exchange Asia had this wine on offer at S$55. I said then it was a great deal. Profiters International must know something about this wine that Robert Rees and I don’t. 2008 / St Hallett / Faith / Barossa Valley / Shiraz / S$47.10 at The Local Nose – A solid but not outstanding wine. Oliver 86 points, Wine Front 91, and Halliday 90. Drinking to 2013 or 2019 depending on whether you follow Oliver or Halliday. Sub A$20 down under, RRP of A$19 in fact. That makes the price here a fair way outside an acceptable BBI, a fair way. Not for me. 2005 / Trentham Estate / Heathcote / Shiraz / S$36 at Epsilon Wines – Halliday gives it 94, Wine Estate only 4 stars, but it’s a stayer (drink to 2025) and the pricing’s right. With a RRP of about A$28, price here is great value. 2008 / Battle of Bosworth / McLaren Vale / Shiraz Viognier / S$42 (S$39.90 Member) at Crystal Wines – Wine Front give it 92 points, and reckon it will drink out to 2015. RRP of A$25 so price here is OK.
2005 / Dominique Portet / Heathcote / Cabernet Sauvignon / S$55 at eWineAsia – Er, is that three Heathcote wines in one blog? Halliday wasn’t quite so wrapped in this one, giving 89 points, drink to 2015. With a RRP of A$42, this is right where I would expect it to be. Spot on. 2005 / Rockford / Rifle Range / Barossa Valley / Cabernet Sauvignon / S$61 at Parklands Wine (recommended by The Local Nose) – Not much difference of opinion between Oliver and Halliday on this one (Oliver 86, Halliday 90) but Oliver reckons drink it now, Halliday says 2014. It’s academic for me as I won’t be tempted. With a RRP of A$35, this misses an acceptable BBI by a long shot. I’ll pass. 2002 / Majella / The Malleea / Coonawarra / Cabernet Shiraz / S$75, S$70 by the half case, at Wine Exchange Asia – well, this time you really are going to have to ignore the ratings, or choose who you favour. Jeremy Oliver says 88 points, drink last year. Halliday says 94 points, drink to 2022. You make the call. Had a RRP of A$66 but that’s a while ago. I’ve seen prices for this anywhere from A$48 to A$75 down under.